With 400 employees and an annual turnover of £40m, Menzies offers accountancy services and finance and business advice. Its offices are in London, Cardiff, Whitely, Egham, Woking and Farnborough. Travelling between these locations for internal meetings and for appointments was costly and caused logistical problems, although the meetings were usually fruitful. In addition, the firm had attracted new clients, both in the UK and overseas. Menzies had experimented with standard telephone conferencing and unified communications (UC) systems, but reports that poor sound quality and complex operating interfaces made these often unreliable and ineffective and therefore unsuitable for client interactions. 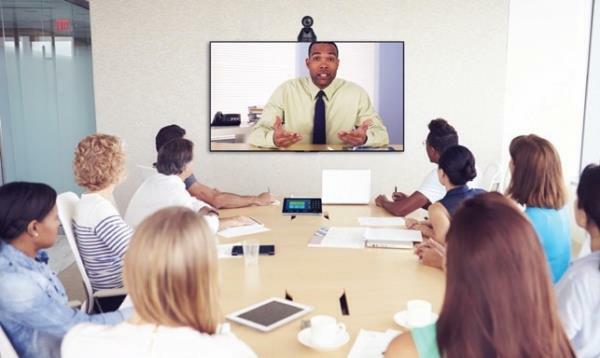 The firm consulted a number of providers in its search for an effective system that would enable instant, high-quality video and audio communications between colleagues and clients wherever they were. It chose a company based in Watford, StarLeaf, which has developed a cloudbased system supported by points of presence in north America, Europe, Asia and Australasia. StarLeaf’s GT Mini was installed across all of Menzies’ seven offices in a two-week period and StarLeaf organised a live-video training session to a group of Menzies staff, who could then help their colleagues to use the system effectively. The StarLeaf app was installed on staff tablets and mobile phones to enable messaging, voice and video calls, and means all employees can join video conference calls remotely through the StarLeaf cloud, for communication between colleagues and clients at home or abroad. Mr Seddon says the video and voice quality made it seem as if meeting attendees were in the same room. He says: “We have noticed a significant reduction in travel expenditure and our staff now have more time to support their clients.